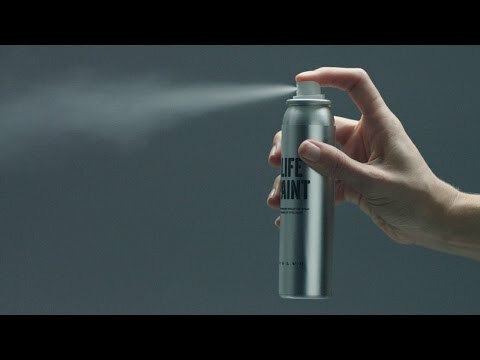 Volvo Car UK has reintroduced LifePaint, the hugely popular reflective spray designed to increase the visibility and safety of cyclists. Available to buy online in time for the longest night, Wednesday 21 December, LifePaint is an innovative product that reacts to a vehicle's headlights, warning drivers of the presence of cyclists in the dark. With more than 19,000 cyclists injured on the UK's roads every year, the long dark nights are the perfect time to reintroduce this potentially life-saving safety product. LifePaint is invisible in daylight, but in the dark reflects light in the same direction as the light source, shining brightly to illuminate the objects it has been sprayed on. The spray sticks to dry textiles and is most effective on fibrous materials such as cotton, fleece, linen and certain nylons. It can also be applied to shoes, helmets, pushchairs and children's backpacks – and even dog leads and collars. Volvo is working in partnership with the makers of LifePaint, Swedish start-up Albedo100, to distribute the product online and via its dealer network. Volvo is already a market leader in terms of protecting all road users – including cyclists. Its range-topping 90 series models all come with City Safety, which detects pedestrians, cyclists and large animals in the path of the car and can automatically apply the brakes in an emergency to help avoid a collision. This technology works day or night and is fitted as standard to the S90 premium saloon, V90 estate, V90 Cross Country all-road car and the XC90 SUV. Volvo is also the only car manufacturer that has automatic emergency braking (AEB) as standard across its full product range. Jon Wakefield, Managing Director of Volvo Car UK, said: "LifePaint is another example of Volvo's human-centric approach to safety. Not only are we a world leader in safety technology for our cars, by offering this innovative spray online, we're helping to protect more people on our roads than ever – whether they drive a Volvo or not." The reintroduction of LifePaint is being supported by an on-street advertising campaign, which includes 183 digital six-sheet sites on some of the most dangerous roads in and around London.